Different ticks of all shapes and sizes live throughout the United States and beyond, with over 800 different species of ticks throughout the world. Transmission of infections typically occur after a tick has had time to feed and complete their meal. Ticks transmit sometimes deadly or life-threatening diseases to their hosts. Duquesne University recognizes Lyme disease as endemic, found in ticks primarily living in heavily forested areas of North America, causing lifetime complications for the one-time host. If you are a hiker or everyday outdoor adventurist, it’s important to know what to look out for. According to a recent CNN report, the number of tick-borne diseases reported grew from 22,527 to 48,160 between 2004 and 2016. In that same time period, nine new diseases and infections from ticks were discovered. Tick-related illness outbreaks typically follow a seasonal weather pattern, occurring continuously between April and September as larvae evolve into adult ticks. Oftentimes a mild winter and an early spring will result in a high number of ticks, causing an increase in the frequency of diseases transmitted. The American dog tick, or “wood tick” is found to the east of the Rocky Mountains, in areas of Canada, Mexico, and the Pacific Northwest. It is most commonly the tick found on dogs, as their name suggests, but it is also found on larger animals like horses, cows, and humans. Size: Unfed adults are about 3 to 5 mm long, but they can become engorged to 10 mm. A good rule of thumb is that deer ticks are usually half the size of an American dog tick. These guys are found in the Northeastern and Upper Midwest sections of the United States. Transmits: Lyme disease and many more. The Lone Star Tick is found widely amongst the Southern and Eastern United States. It is distinguished by one white dot or “lone star” on it’s back. This kind of tick frequently bites humans. Size: 3 mm typically when unfed, but up to 16.5 mm when engorged. 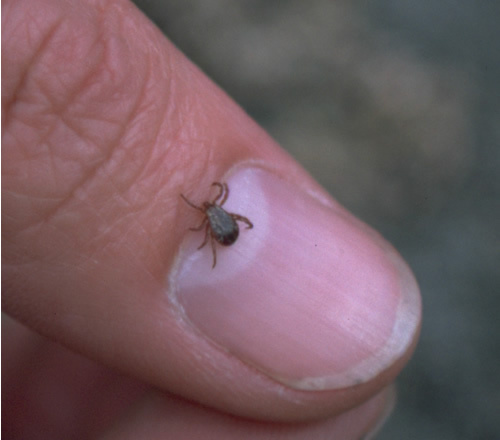 The Rocky Mountain wood tick is found in the Rocky Mountain States and in southeast sections of Canada, primarily in elevations 4,000 to 10,500 feet. The adult ticks feed on large mammals, but their larvae and nymphs feed on small rodents. Transmits: Rocky Mountain spotted fever, Colorado tick fever, and tularemia. Size: Less than 2 mm. 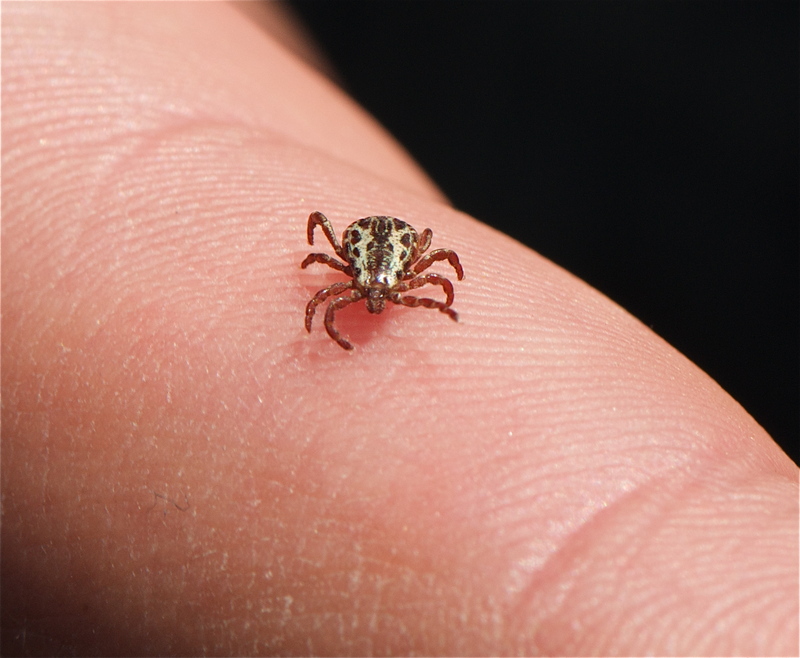 These ticks are so small that they often feed on mice, lizards, and other small animals. These ticks are generally the size of a sesame seed as adults and a poppy seed as nymphs. Preventing and treating tick bites effectively and quickly is the best way to avoid contracting tick borne diseases or illnesses. If you are camping, or plan to spend a significant amount of time in the great outdoors, pack a first–aid kit. If you do get bit by a tick, things like bandaids, disinfectant wipes, and antihistamine cream can help ease discomfort and prevent further infections or diseases. 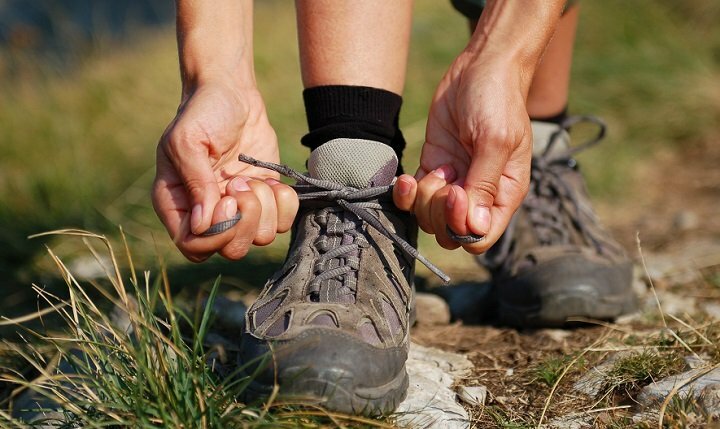 Check your outdoor gear and clothes for ticks before storing or stepping inside. Adding clothes and tents to a dryer on high heat for 10 minutes can kill ticks that may have hitched a ride unwelcomely. Showering within two hours of coming inside can help wash off unattached ticks and gives you the opportunity to check yourself for ticks. Look under arms, in and around ears, on the scalp, between the legs, and on the back of the knees. Bite symptoms like tick paralysis have been in the news lately. Characterized as a condition that caused significant fatigue, numbness in the legs, and severe muscle pain. And the most terrifying thing is, the ticks that cause paralysis are found in every region of the world. Being able to identify the size of the tick that bit you is invaluable when it comes to understanding the risks it poses to your health. Finally, if you find a tick on you save it so that you can have it checked for diseases and find out if you are at risk!